The voluntary sector focuses too much on self-preservation and it would be healthy if some of the most prominent charities were to close down over the next five years, according to Richard Hawkes, chief executive of the British Asian Trust. 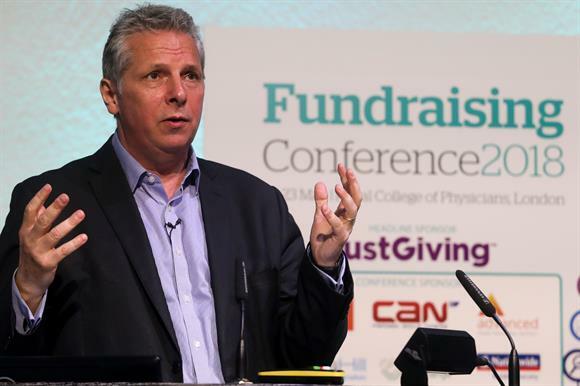 Opening the second day of Third Sector’s Fundraising Conference in central London this morning, Hawkes said the sector was too meek and needed to evolve with the times. He also called for charity leadership to be bolder in getting rid of staff who were not "absolutely brilliant" at their jobs. When asked whether charities in their existing form were on the brink of extinction, he said: "I really hope so. I really hope there is this massive change in the sector." He pointed to the example of private companies, saying that the list of the top 10 biggest companies changed radically over time, and many of the biggest companies today had not even existed 20 years ago, whereas of the top 10 charities in 1970, nine were still prominent in the sector today. "The sector just doesn’t evolve," he said. "If charity has achieved its purpose, go, close down, go home, stop. "Too many trustees and too many staff are into self-preservation of the organisation rather than focusing on the reasons they exist – the beneficiaries and the causes." He said it would be incredibly healthy for the voluntary sector if a number of the most prominent organisations were to close down in the next five years and for the sector to fundamentally change, with new organisations forming and new people coming to the forefront. "There’s a generation that should take over and get all of us oldies out of the way and make everything more dynamic and ambitious," he said. Hawkes joined the British Asian Trust in September 2015, and the organisation has tripled its income in the past 18 months. He said all charity staff had to be brilliant at what they did in order to justify the "absolute privilege" of having their salaries funded by donations. Upon arrival at the trust, he said, he had set about assessing who was brilliant and who was not. "Then you have to find ways of moving people who aren’t brilliant into other careers," he said. "You have to focus on the people who are brilliant and invest in them through paying them well and investing in training and development." But he added: "That requires brave bold leadership and management, and too often that doesn’t exist in the sector." The sector had also been very poor at dealing with press criticism and scandals in recent years, Hawkes said, and had been too quick to blame the media for attacking charities rather than taking responsibility for its failings. He said the sector had been too willing to tolerate bad practices and sexist cultures, and had been scared to speak up or take action. He also accused the sector of becoming too scared to say anything controversial in case it was smacked down by regulation. "The overall result of that is we’ve got a rather meek sector that spends far too much time talking to itself," Hawkes said. "There are far too many sector bodies and we don’t influence government policy anywhere near as much as we should do." But he added that charity income was at an all-time high and charitable donations were at record levels. "Which tells me that, while the sector overall might be in quite a poor state and nowhere near as influential as it used to be, there are lots of individual charities that are really thriving and really succeeding," he said. "And if they’re thriving, then there’s the potential for any other charity to thrive."